Our top selling loft ladder. 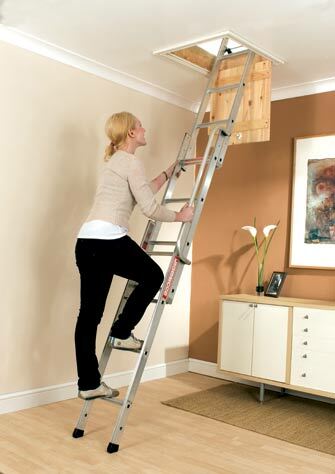 Quality 3 section Youngman aluminium loft ladder. Large handrail for extra climbing security. Pivot arms in loft smoothly control descent. Flat 2 inch non slip treads. Premature drop during sliding ladder operation. Maximum safe working load 100Kg. For more information about any of our products or services, call today on 0800 689 9567 and speak with one of our knowledgeable staff.